Want to feel afraid in your own home? Of course you do and my short story A Sincere Warning About The Entity In Your Home can help. 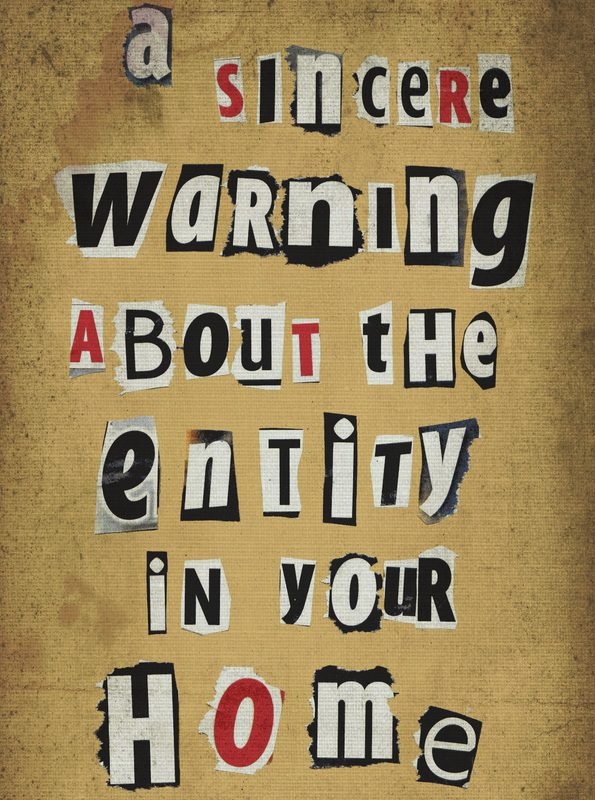 Presented as a letter to YOU which is delivered to YOUR house, this grave warning from the previous resident tells you things you really don't want to hear. "The creepiest f*****g thing I have read in an age. I read half of it and woke up gasping for breath!" "Got a page-and-a-half in and lost the ability to continue. Am now hiding in the bedroom. Awesome!" "I had a scary letter made for my fiancé Ian recently, for his birthday. It was so personal and creepy. A brilliant idea"
"Highly original, chilling tale. I made the mistake of reading it alone, after dark, and couldn't sleep afterwards... Thoroughly and terrifyingly enjoyable"
"The letter arrived on Christmas Eve! Scared the bejeesus out of the wife on the long drive to family"
"My wife just called me to congratulate me on freaking her out. She was waiting in line at the post office when she opened up the envelope, and she got 4 pages in before flipping through the rest of it to see the note at the end letting her in on the gag. She could tell the woman at the counter was concerned about what she was reading"